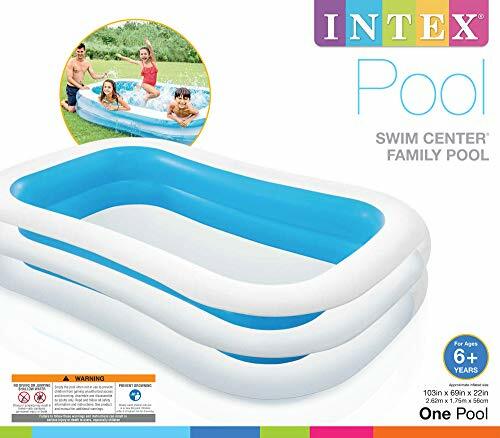 Shop Ireland » Lawn & Patio » Intex Swim Center Family Inflatable Pool, 103" x 69" x 22"
This Intex family swimming pool is great fun for the entire family on hot summer days. 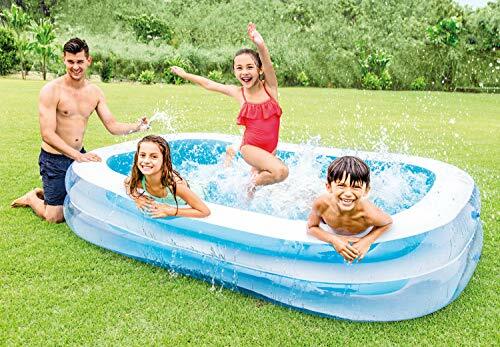 Features include:*Two air chambers each with a combo value for quick inflation and deflation*Pool content: 749litres *Thickness vinyl 0.35mm (including repair set)*A valve is fitted at the bottom of the pool so that it can be emptied easily*Capacity at 37cm*Drain plug*Repair patch Perfect paddling pool for families to use in the back garden, just what you need to cool off in the summer. Inflated size: 2.62m x 1.75m x 56cm.